A Baby Shower for My PIC — Trodel. If you have been following my blog you may notice that I am not a huge fan of traditional baby & kid stuff. I don't love light pink or baby blue, nor am I fan of little yellow ducks or green frogs when it comes to gender neutral stuff. It's not that I hate it or don't like it for other people, it's just not for me. When my bestie found out she was pregnant, I immediately started planning her baby shower in my head. I knew I wanted to steer clear of the above mentioned stuff because she, too, isn't a huge fan (to put it lightly). 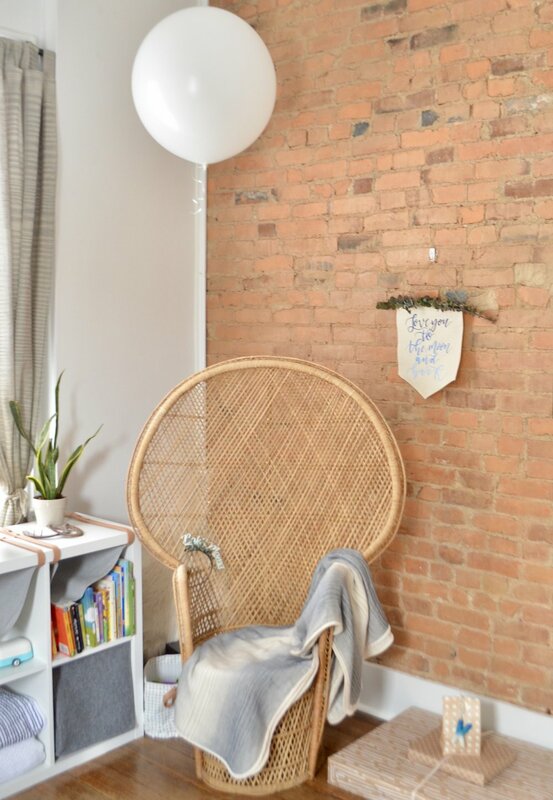 I had planned for her to open gifts in my rattan peacock chair with a large white balloon attached to it and knew that I wanted to incorporate some greenery, but that's all I really had. When she found out she was having a boy (YAY!) I felt a little stumped. How do you not automatically want to do blue? I pinterested everything "non traditional" and really didn't find much other than what I mentioned, greenery. And some bees. Which is cute I suppose, but probably better for a gender neutral shower and I really didn't feel that a bee theme fit my girl Al. For a bit she was talking about doing a "moon" theme in baby boy's nursery, so I took that and ran with it. I FINALLY stumbled across the most dreamy baby shower and replicated it the best I could without hiring a professional. The theme became "blue ombrè- greenery-moon" and it was super fun to bring to life. I found a lot of stuff on amazon, etsy and in a random party supply store in Columbus. We still incorporated a lot of blue (I mean seriously how can you not?!) but in my opinion ombrè makes it not too over the top. All of the decorations are listed below but the biggest inspiration for this shower was the "Love you to the moon & back" banner. My girl Emily of Emily's Lettering custom made this for me when I showed her the pic of the original shower and she nailed it. 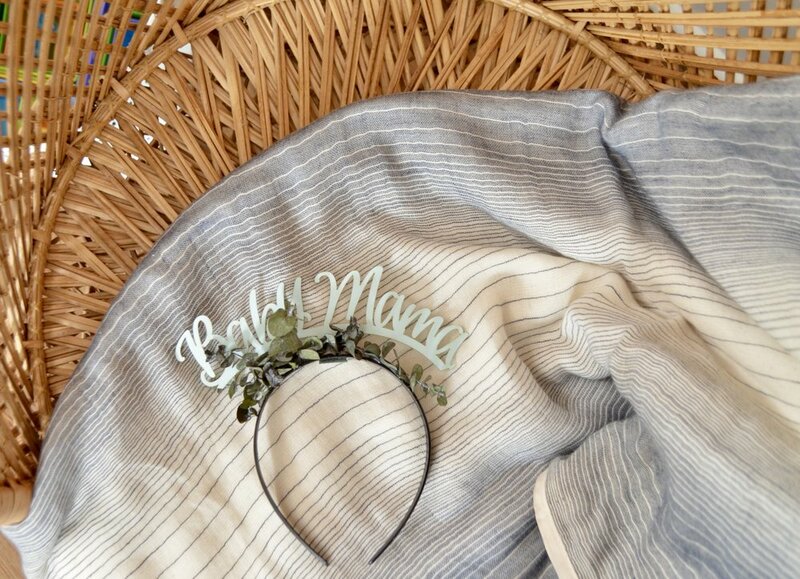 Not only was this a fun decoration, but it also doubled as a gift for the mama-to-be. Be sure to check out Emily's insta page- she's super talented. Overall the shower was a success and Al loved the theme, the banner, the headband I DIY'd for her and of course, the cookies made by my friend Meg & her sweet mom. 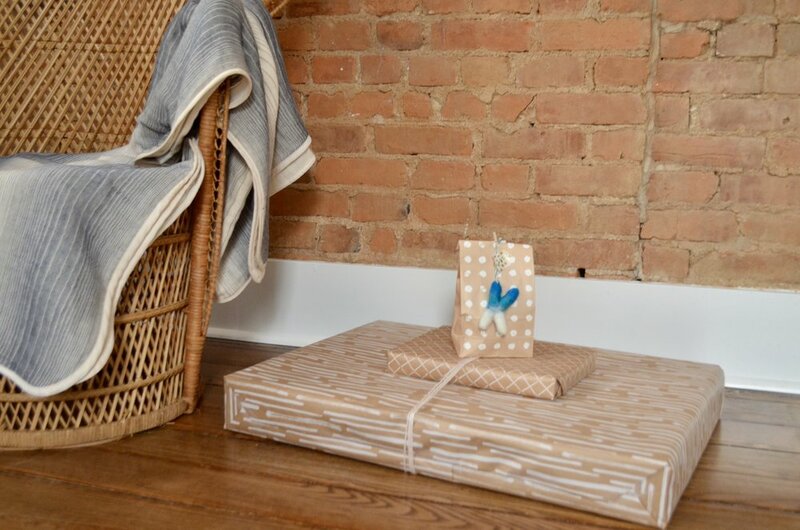 To replicate this look for your baby shower click on the images below to shop ! ***UPDATE! *** Baby Boy Kip has made his entrance into the world. He joined the Bush family on 12/10/17 & he is absolutely perfect.